Food thermometers aren’t just for your holiday roasts—they’re for all cuts and sizes of meat and poultry, including hamburgers, chicken breasts and pork chops. Using a food thermometer when cooking meat, poultry, and even egg dishes is the only reliable way to make sure you are preparing a safe meal, and also helps to retain flavor and to avoid overcooking foods. If a hamburger is brown in the middle, is it done? You can’t tell by looking! Use a food thermometer to be sure. One out of every four hamburgers turns brown before it reaches a safe internal temperature. If a hamburger reaches an internal temperature of 155 °F, it will be safely cooked. Everyone is at risk for foodborne illness. The Centers for Disease Control and Prevention (CDC) estimate that every year about 48 million people in the United States become ill from harmful bacteria in food, and, of these, about 3,000 die. 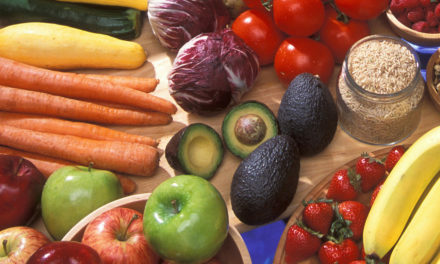 Some people may be at high risk for developing a foodborne illness. These include pregnant women and their unborn babies, newborns, young children, older adults, people with weakened immune systems, and individuals with certain chronic illnesses. These people should pay extra attention to handling food safely. Use an instant-read food thermometer to check the internal temperature toward the end of the cooking time, but before the food is expected to be done. The food thermometer should be placed in the thickest part of the food and should not be touching bone, fat or gristle. Insert the thermometer the full length of the sensing area, past the indentation or “dimple”. Insert a digital instant-read thermometer sideways into thin hamburger patties. Check egg dishes, meat casseroles and irregularly shaped foods such as roasts, in several places. Compare your thermometer reading to the recommended internal temperatures in the chart below. Make sure to clean the stem of your food thermometer with hot soapy water before and after each use. Do not immerse the head in water. Follow the instructions for your specific type of food thermometer. Use only oven-safe thermometers in the oven during cooking. Remove food from the oven to test with instant-read thermometers. Choose and use the one that is right for you! The dial oven-safe thermometer is commonly used for roasting turkey and other large meats. The digital instant-read thermometer is easy to use for those foods that you will remove from the oven, microwave or grill to quickly check the internal temperature. Liquid-Filled Thermometers: Also called “spirit-filled” or “liquid in glass” thermometers, they are the oldest kind of food thermometer used in home kitchens. They have either metal or glass stems. As the internal temperature of the food increases, the colored liquid inside the stem expands and rises to indicate the temperature on a scale. Heat conduction in the metal stems can cause false high readings. They are designed to remain in the food while it is cooking. They should be inserted at least 2 inches deep in the thickest part of the food, and are, therefore, not appropriate for thin foods. Some liquid-filled thermometers can be calibrated by carefully moving the glass stem within the holder. Candy/Jelly/Deep Fry Thermometers: These thermometers will measure temperatures ranging from 100 to 400 °F. They are used to measure the extra-high temperatures required of candy and jelly making, as well as frying with hot oil. Refrigerator/Freezer Thermometers: For safety, it is important to verify the temperature of refrigerators and freezers. Refrigerators should maintain a temperature no higher than 40 °F. Frozen food will hold its top quality for the longest possible time when the freezer maintains 0 °F. 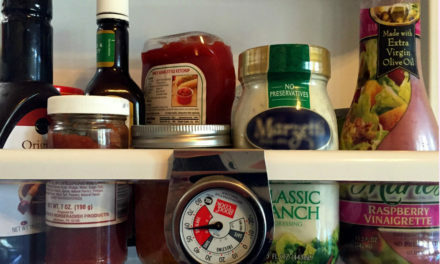 An appliance thermometer can be kept in the refrigerator and freezer to monitor the temperature. This can be critical in the event of a power outage. When the power goes back on, if the refrigerator is 40 °F or colder, and the freezer is still colder than 40 °F, the food is safe. These bimetallic-coil thermometers are specially designed to provide accuracy at cold temperatures. Oven Thermometers: An oven thermometer can be left in the oven to verify that the oven is heating to the desired temperatures. These bimetallic-coil thermometers can measure temperatures from 100 to 600 °F. A food thermometer can be checked for accuracy using either the ice water method or the boiling water method. The ice water method is explained below. Many food thermometers have a calibration nut under the dial that can be adjusted. Check the package for instructions. Ice Water Method: To use the ice water method, fill a large glass with finely crushed ice. Add clean, cold tap water to the top of the ice and stir well. Immerse the food thermometer stem a minimum of 2 inches into the mixture, touching neither the sides nor the bottom of the glass. Wait a minimum of 30 seconds before adjusting. (For ease in handling, the stem of the food thermometer can be placed through the clip section of the stem sheath and, holding the sheath horizontally, lowered into the water.) Without removing the stem from the ice, hold the adjusting nut under the head of the thermometer with a suitable tool and turn the head so the pointer reads 32 °F. Even if the food thermometer cannot be calibrated, it should still be checked for accuracy. Any inaccuracies can be taken into consideration when using the food thermometer, or it can be replaced. For example, ground beef patties must reach 160 °F. If the thermometer is reading 2 degrees too high, 2 degrees would be added to the desired temperature, meaning hamburger patties must be cooked to 162 °F. 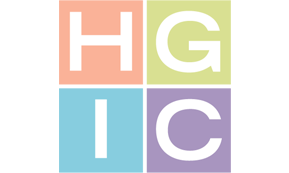 For more information on using food thermometers, request HGIC 3580, Cooking Meat Safely.